What is an one file and how do I open an one file? The .one file extension is mostly associated with Microsoft OneNote, a program for note-taking that allows users to input notes, organize them easily, as well as share them. The documents created using this software are called .one files as they are saved in the .one format. These .one files are not limited to written documents, but they can also contain images, videos and drawings whether they come from another application or not. This file extension is also used by the docPointer application; a software that displays readme files to users. These readme files are in the .one format and they make it easy for users to view and read documents whether they view it online using web browsers. The file extension is also used in licensing files for the EDGECAM system, wherein in this system, it is the .one files that contain license data about EDGECAM. 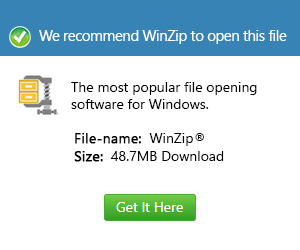 There is a lot of software that could be used to open .one files. These are Microsoft OneNote 2010, Microsoft Office Client Virtualization Handler, Microsoft Office Word Viewer, Microsoft Works Word Processor, docPointer , etc.